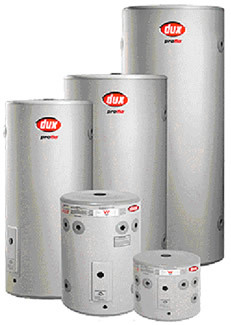 Electric hot water systems are a relatively inexpensive solution to your hot water needs. If you have hot water problems, need hot water prices or are replacing an existing electric hot water unit a like for like replacement also tends to reduce installation costs. Flo-Rite Plumbing always has the 25 litre, 50 litre, 80 litre, 125 litre, 160 litre, 250 litre, 315 litre and 400 litre electric hot water systems in stock with all of the major brands to choose from. Our service vehicles are fully equipped to carry out hot water replacement and repairs to Hot Water Systems, Hot Water Heaters, Hot Water Tanks and Hot Water Units including all major brands like Rheem - Vulcan - Dux - Aquamax - Saxon Quantum - Conergy - Zip - Beasley - Supakwik and more. These will be based on your household usage and your electricity settings. 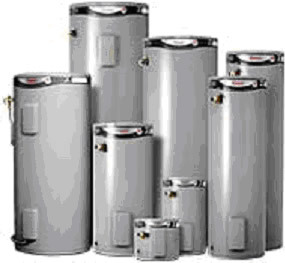 For example, whether you are on off peak or reduced tariff electricity, generally electric water heaters will cost more to run than natural gas or solar systems, off setting the relatively low purchase and installation costs. ranging from 25 litres to 160 litres. As they can use a lot of hot water, how many of the children are teenagers? Is there a dishwasher connected to the hot water supply? Do you wash your clothes in hot water? Do you have a larger than normal bath tub or spa that is filled using the hot water supply? We are fully Licensed and Insured Solar Hot Water - Gas Hot Water Systems - Heat Pump Hot Water Systems and Electric Hot Water Systems specialists as well as Plumbers, Drainers and Gas Fitters.